Always changing, yet easily melding its older aspects with its restless developments, Manhattan is captured here in New York Times photographs from decades past and present. 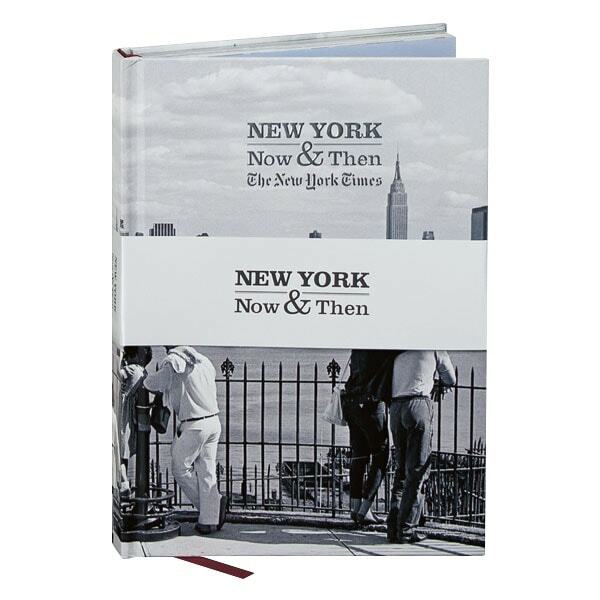 This deluxe gift journal pairs a dozen vintage photos of the city's landmarks with photographic overlays from the same perspective today, forming a multifaceted portrait of New York over time while also dividing the notebook into 12 sections. Measuring just over 7 x 10 inches closed, the book has a ribbon marker, sewn binding, and silver foil edges on the college-ruled cream pages, bound in a laminated photographic cover with color photo endpapers.